I have some sympathy for the BBC employees who find themselves in front of the news labelled as tax dodgers because they have been paid through their own service companies rather than as direct employees of the BBC. Whilst it may seem unfair that people who are well paid pay less tax than the rest of us, is it really those individuals who are at fault? The BBC is by no means alone in this as it has now become the norm across many sectors for employers to encourage their staff to set us service companies to receive their wages. In some sectors this has become a requirement if you want to get work. So why has this become a problem and what is wrong with using a service company to receive your income? Actually there is nothing illegal in using a service company to receive income. By doing so you can end up with a much smaller tax bill for doing the same work and receiving the same amount of earnings than you will by receiving your wages directly as an employee. This is a fact which HMRC have been wrestling with for very many years and have seemed strangely unable to properly address. One of the main tools in HMRCs armoury to try to cut out what is perceived to be unfair use of service companies is what has become known as IR35. IR35 actually refers to an Inland Revenue notice which first introduced the new rules 1999. Under these rules it is basically up to the owner of the service company to determine whether or not his contract with his employer is one which is really an employment and if it is to then pay over to HMRC full income tax and national insurance (both employees and employers). This is much more expensive than taking money from the company as dividends and essentially wipes out any tax advantage of using a service company. Not surprisingly most individuals who have set up service companies (either under their own steam or because they have been encouraged to do so by their employer) would be reluctant to voluntarily pay over the higher amount of tax unless there was strong encouragement from HMRC to do so. The requirement to operate the IR35 rules falls within the self-assessment system. This means that large numbers of one-person companies are left to negotiate difficult legislation and to self-assess their tax liability rather than simply receive their earnings after deduction of PAYE tax and national insurance by their employer. This self-assessment system starts to break down when either the individuals do not fully understand their obligations or in some cases it becomes apparent that other people are not paying their fair share and not getting caught and punished. Your fair minded citizen will quickly get angry and stop complying if they see other people “getting away with it”. This is what appears to have happened in recent years with regard to the many tax avoidance schemes which have been exposed in the newspapers recently. The BBC consultancy companies, whilst not falling within the same tax avoidance definition, are being are being tarred with the same brush due to the apparent unfairness in the levels of tax being paid. HMRC have tried to tackle the use of service companies and traditionally have targeted those in the IT sector whilst leaving other industries alone. This targeted approach has led to it becoming the norm in some sectors for employers to insist on the use of service companies in circumstances were it not for the tax advantages it would be wholly inappropriate to do so. The main problem with IR35 is that it has proved perilously difficult for HMRC to effectively use these rules to punish unfair behaviour. To my mind the reason for this is that the IR35 rules are set against the wrong person. By insisting on employees setting up services companies, employers can simply abdicate responsibility for operating the PAYE system to their workers. The risks of failing to operate PAYE properly then lies entirely with the service company so there is little downside to the main employer. HMRC then have the difficult task of investigating many individuals rather than the single main employer. A possible alternative would be to make it a little more difficult to set up a company in the first place. The UK is unusual in not requiring a minimum capital funding for a corporate structure. Whilst this ease of incorporation is generally considered a very good thing for business in the UK, a relatively modest capital funding requirement would be likely to put off the majority of individuals who are considering setting up companies purely to avoid PAYE tax charges. If implemented as planned this will be the biggest change to the tax system since the introduction of Self-Assessment 20 years ago. HMRC have recently issued 6 consultation documents outlining their proposals for a fundamental change to way they want individuals and business to submit their tax return information. If implemented as planned this will be the biggest change to the tax system since the introduction of Self-Assessment 20 years ago. The proposals are to move to a more electronic based system where as much information as possible is automatically gathered directly from third parties. The taxpayer will then only be required to update information which cannot be obtained automatically from elsewhere. However, these updates will have to be made on a quarterly basis instead of the current system of providing information after the year end on the annual tax return. HMRC are eager to point out the benefits of the new system to the taxpayer, but if the proposals are introduced as planned the reality will be that many people will pay tax much earlier than they do now and their compliance burden will increase. We will be responding to HMRC’s consultation and making representations on our clients behalf and invite you to let us have your views. Please email us on MTD@goodmanjones.com with your views. There will be a new obligation for certain customers to keep records digitally on software that links to and updates HMRC. Existing record keeping legislation will need to be modified to reflect those proposals. This consultation does not include other aspects of tax administration. Changes to inaccuracy penalties will be covered in subsequent consultations. There is no proposal to introduce a power to enable HMRC to enquire in-year into regular updates, nor increase the overall number of compliance interventions as a result of these updates. HMRC want a new power to enquire into the regular updates and check any of the information that is included in a customer’s End of Year declaration and is used to calculate their tax. The customer’s digital records may form part of any enquiry. HMRC propose a power to make determinations of End of Year declaration as with Tax Returns. They propose to replicate the power for HMRC to correct obvious errors made in the End of Year declaration. 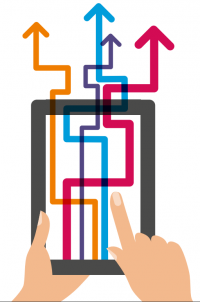 In MTD business customers will need to provide regular updates. This consultation proposes a new way of addressing failures to provide regular updates and carry out the End of Year declaration. Once a penalty has been incurred, the customer would incur further penalties if they failed to meet their subsequent submission obligations. 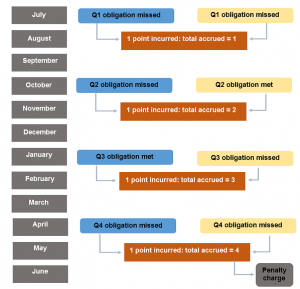 The points total would remain unchanged until such time as a sustained period of compliance caused it to be re-set to zero. The points total would be re-set to zero after the customer has achieved 24 months of compliance with their submission obligations. See Diagram 1 for an example of how points based penalty regime would work. HMRC propose 12 months as an appropriate length of time to allow customers to become familiar with the new obligations before the new penalty regime comes into effect. Many customers are subject to a number of separate obligations. For example, an individual in business and having employees would have to provide quarterly updates and finalise those updates after the end of the tax year for their own Income Tax purposes and regularly submit PAYE information about their employees via Real Time Information (RTI). In practical terms, all submissions due in the same calendar month would have to be treated as being due “at the same time”. The government would explore options for taking account of the customer’s compliance history across all of the taxes they are involved with in developing a new late submission penalty. See Diagram 2 for an example of how this would work. The basic points-based penalty would be unsuitable for occasional obligations (such as the filing of Inheritance Tax returns). In these cases it is unlikely that points incurred could act as a warning system to encourage a return to compliance. The basic model is designed to be simple but it lacks an incentive for those who have missed making a particular submission to remedy that failure. One way to address this would be for customers to incur further points to reflect the fact that a submission was still outstanding. This would focus the customer’s attention on remedying what has already gone wrong as well as encouraging good compliance in the future. The escalator model might be unsuitable for monthly obligations because points could accumulate very quickly and the customer might have insufficient time to heed and act upon the warning. within fourteen days of the due date, or who before that date have failed to enter into arrangements to pay over an agreed period to which they then adhere. Model 1 – Introduce a model based on the Income Tax late payment penalty regime for each of the three taxes coming into scope of MTD. Model 2 – Introduce a tapered system where the late penalty percentage rate increases the longer the debt remains outstanding. This would encourage customers to fulfil their payment obligations sooner, before a higher penalty rate is reached. HMRC propose to continue with the current rules for Income Tax and Class 4 NICs when MTD starts in April 2018. Do you agree that compliance legislation should be amended to replicate current enquiry powers into the Self Assessment return to the End of Year declaration? Do you agree that current HMRC and customer safeguards should also be maintained? Are there any other options for preserving HMRC’s current enquiry powers in MTD? Do you agree with the proposed approach to replicate HMRC’s compliance powers for determinations, corrections, information powers and discovery assessments? Do you have any other comments on how compliance powers need to change to transition to MTD? Do you agree that 12 months is an appropriate length of time to allow customers to become familiar with the new obligations before the new penalty regime comes into effect? Do you agree that the period to wipe the slate clean should be 24 months? If not, what other period would be appropriate? We invite views on the design principles outlined for the points-based penalty. For example, do you consider there are any further elements to build in to this basic model? 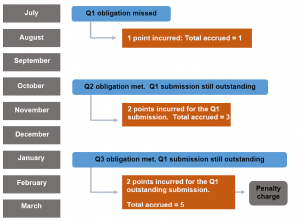 At what stage for each of these different submission frequencies should points generate a penalty? We would welcome comments on whether existing penalties are sufficient to support compliance with occasional filing obligations. If not, what more is needed? Do you agree that, in principle, a single points total that covers all of the customer’s submission obligations is the right approach? Do you agree that the points based proposal outlined in is the right way to operate a single points total? If not, what alternative would you suggest that ensures the design of the penalty is kept simple? We welcome views on whether the escalator model would be a more effective way of aligning with HMRC’s customer focused fairness based principles? Do you agree that a fixed amount penalty is appropriate? 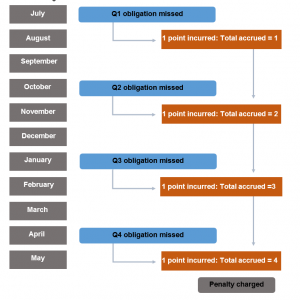 Should the amount of fixed penalty reflect the size of a business? Do you agree that points should only become appealable when they have caused a penalty to be charged? Do you agree that 14 days is an appropriate length of time to allow customers to either pay in full, or make arrangements to do so before penalty interest is charged? Do you think that charging penalty interest is the right sanction for noncompliance with payment obligations? Are there other commercial models that might be appropriate for us to consider? We invite views on the design principles outlined for penalty interest. For example, do you consider there are any further elements to build into this proposal? Does model 1 or model 2 best meet the government’s objective of providing a fair and proportionate response to late payment of tax? Do you agree that the timing of late payment penalties should change to reflect the frequency of payment due dates? We invite views on the design principles outlined for late payment sanctions. For example, do you consider there are any further elements to build into these proposals? Which proposal best meets the design principles? Should the current interest rules for Income Tax and Class 4 National Insurance contributions continue to apply in MTD? Do you have any initial comments about aligning interest rules across taxes? Please provide details of how the proposed administrative changes will affect you, including details of any one-off and ongoing costs or savings. Do these administration proposals have a significant or disproportionate impact on groups with legally protected characteristics, as recognised in the Equalities Act 2010? The next steps could be dividends/ share information and property information obtained directly from third parties. HMRC want to make better use of Digital Tax Accounts to include information from third parties. This will result in outstanding tax being collected ‘in-year’. HMRC currently obtains third party information from banks, employers and government departments. However HMRC still ask customers to collate this information and report it on a Tax Return. This means that the customer will only find out about under/over payments after the end of the tax year. HMRC believes that PAYE does not accurately reflect the current job market & lifestyle of customers. Often there are second jobs, casual work and fluctuating incomes. The aim therefore is to identify and collect more tax throughout the tax year. Oct 16 – Starting with customers whose interest is above the Personal Savings Allowance, this will be included in PAYE codes based on an estimate from previous years (already used for higher/additional rate). Apr 17 – PAYE information will be used during the tax year to calculate whether the tax is correct and notify customers through their Digital Tax Account if not. Under/over payments will then be collected throughout the year by HMRC automatically instructing employers’ payrolls, in order to prevent these accruing at the year end. 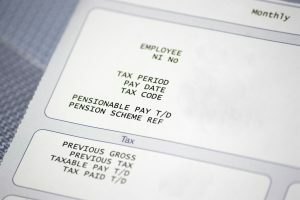 More admin burden will fall on employers’ with the increase in P6 notices but HMRC hope that these will be automatically updated on payroll software. However employers’ will also have to deal with more queries arising from employees about their tax calculations. Apr 18 – Include common income types in the in-year calculation – starting with bank interest so that only a small number of customers will be affected first. The default position will be to collect any tax owed via PAYE – but customers can opt out and pay in one lump sum. State pensions could be next on the list to include in the in-year calculations. If it is not possible to collect the tax owed via PAYE, customers will be advised of the projection of tax due for the year end through their account. In theory, this tax amount will be updated throughout the year based on real time updates of bank interest etc.. They can make payments through ‘Pay As You Go’ rather than one lump sum. HMRC advise that they will only use information to calculate tax that they are confident is correct. Customers cannot change information such as the amount of bank interest on their digital tax account. They will need to contact the bank and get it resolved. This places the burden on the taxpayer. Whilst a query arises, they can tell HMRC this is happening and HMRC will not use this information to calculate any tax. If the query is not resolved at the year end, HMRC will use estimates to produce the tax assessment for what they believe is correct. Jointly held assets will be assumed to be split equally unless HMRC are told otherwise. There is the scope to look at whether third parties should be telling HMRC in what proportions assets are held. HMRC wants to reduce to a minimum the amount of information customers provide to them. The next steps could be dividends/ share information and property information obtained directly from third parties. HMRC want to increase the collection of third party information in order to reduce the admin burden for taxpayers. They believe that an up to date projection of tax to pay at the year end will help budgeting. as HMRC expands their idea of what can be collected via third parties: pensions, rental income, dividends there is more scope for errors and the burden is on taxpayers to find the time to sort it out. Otherwise they will be paying ‘estimated tax calculations’ automatically from their bank account (via direct debit). Question 1: Where events during the year result in a change to a customer’s tax projection, what is the appropriate format and regularity of notification that HMRC should send to employers and customers? Question 2: Have you any suggestions for how we present third party information in your digital tax account in a way that will make it easier for you to understand your tax? Question 3: If you are concerned over privacy impacts of HMRC’s plans for improving how we use third party information we already receive, do you have any suggestions for how these concerns could be resolved? Question 4: If a third party information provider is aware of how the ownership of a joint asset is split, do you think the third party provider should inform HMRC? Question 5: Information providers will want to keep their customers fully informed about the information they provide to HMRC (and have a responsibility to do so under the Data Protection Act 1998). Do you think there should be a standard approach, or should information providers design the best approach to meet the needs of their particular business and customers? Question 6: Do you have any preferences for how you would like to be kept informed by third party information providers? Question 7: Do you think there are any additional safeguards we should consider in relation to the protection and use of third party information by HMRC? Question 8: Do you agree with the principles we have set out for how information queries should be resolved? What are your expectations for how this would work in practice? Question 9: How can we best align HMRC’s third party information requirements with information provider’s circumstances? For example, with other standards information providers need to meet; other regulatory change; internal business processes and requirements. Question 10: If you currently provide information to HMRC at year-end what would be the impact of moving to a more frequent in-year process, assuming that HMRC is able to align to your circumstances as described above? Question 11: We have given you a high level introduction to the standards necessary to make the exchange of data efficient and dependable. Do third party providers foresee any specific challenges in adopting standards along these lines? Question 12: What opportunities do current and potential information providers and software providers see for a stronger partnership with HMRC to enhance our customer experience? Question 13: What new sources of third party information would most enhance the customer experience and best contribute to the aim of ending the tax return for all? Question 14: How can we best open up discussions and begin to work with new potential information providers who are not currently providing information to HMRC on a regular basis? A PSA is fairly easy to arrange and the tax won't be payable until 6 months after the end of the tax year so you can enjoy your party and worry about the tax bill a lot later! Staff Party time. Don’t make it taxing. Are your thoughts turning to those lazy hazy summer days and organising a social event for your staff? Or perhaps you are super organised and already thinking about the office Christmas party. Whichever it may be, don’t forget the tax man will have something to say about it. 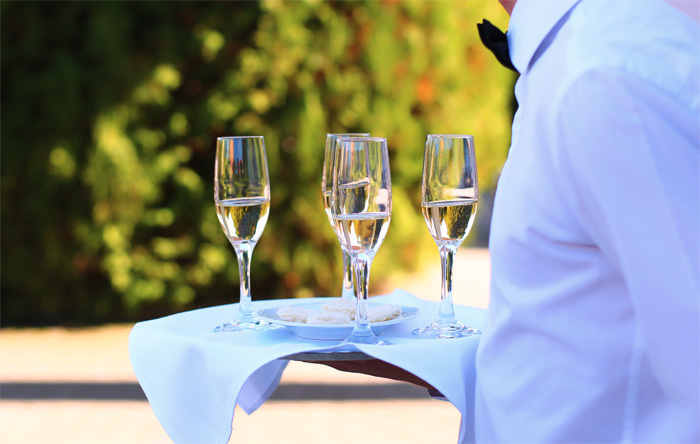 I’m not sure who the summer equivalent of Scrooge is, but there is a limit to HMRC’s generosity in allowing businesses to lavish hospitality on their staff. That limit is £150 per head per tax year and hasn’t changed in 14 years so is worth approximately £75 less than it was in 2002. Provided the cost of an annual staff function is less than £150 per head there is no tax consequence, but exceed the limit then the whole of the cost per head of the function is a taxable benefit in kind for each employee attending. It should be noted that the £150 limit is the cost per head and not per member of staff attending so other guests can be included in the head count. The limit can be applied to more than one function so can cover both a summer and a Christmas party. The exemption does not apply to all staff entertaining. For a function to fall within the exemption it needs to be an annual event open to all staff to attend. Strictly an annual event should be one that is held annually, but in my experience HMRC interpret this fairly loosely and will allow events for special one off occasions as well. If your business has more than one location, an annual event that’s open to all of your staff based at one location still counts as exempt. You can also put on separate parties for different departments, as long as all of your employees can attend one of them. Where the limit is exceeded or there are staff entertaining costs which are not covered by the exemption it is common for businesses to arrange a PSA (PAYE settlement agreement) with HMRC to pay any tax which would otherwise be payable by the individual staff members. A PSA is fairly easy to arrange and the tax won’t be payable until 6 months after the end of the tax year so you can enjoy your party and worry about the tax bill a lot later! Capital Gains Tax was reduced from 28% to 20% for some, but significantly the pressure has been maintained on residential property with buy-to-let landlords being excluded from the reduction. Further bad news for property investors was the exclusion of any cap from the 3% additional Stamp Duty Land Tax for large investors. George Osborne’s third Budget in only twelve months still managed to pack in some surprises. Despite pre-announcing that there would be no further changes to the pension regime this time around, the pension ISA wasn’t completely abandoned with the introduction of the lifetime pension / homebuyer ISA. Could this be a stepping stone for his next pension move? The cost of borrowing out of a family company also increased. On the plus side and contrary to expectation, Entrepreneurs’ Relief far from being curtailed has been extended to investors. For further details of these and all of the Budget announcements please see our Budget summary. Read our 2016 Budget Guide for more information or use our digital tax card for reference. If you have any queries regarding any matters raised in the Budget Statement then please don’t hesitate to speak to your usual contact or email us. For regular commentary on tax and other issues follow us on Twitter and LinkedIn. Should I Incorporate my Buy-to-Let Business? The introduction of three specifically targeted rule changes aimed at cooling the buy-to-let market have led many landlords to ask whether they should be incorporating their buy-to-let businesses. But have the goal posts really moved in favour of incorporation for rental businesses? My own view is that for most people the pendulum has swung against incorporation due to the new dividend rules and the changes to the taxation of rental income do not alter this. There is no doubt that incorporation could be beneficial in some circumstances but there is no “one size fits all” answer and for some, incorporation could make them significantly worse off. Commencing in April 2017, interest relief will be restricted to 20% basic rate only. This restriction is being phased in gradually over 4 years so that by the 2020/21 tax year all interest relief will be at 20% only. There are important implications arising from this change that are examined in a previous blog. With effect from April 2016, the 10% wear and tear allowance for furnished lettings is abolished. This is replaced with an allowance for renewals instead. This essentially means that the first purchase of an item of furniture or furnishings is not an allowable expense, but the subsequent replacement of such items will be an allowable expense against the property income. This wear and tear allowance has however been available to both individuals and corporates letting residential accommodation and hence its abolition affects both. Landlords have previously been able to claim renewals but it is generally accepted that the old 10% wear and tear allowance was beneficial in many cases. The Autumn Statement announced a new additional 3% rate of stamp duty land tax (SDLT) to be applied to all purchase of second properties. We have yet to see draft legislation on this but it is going to apply to both individuals and corporates but with an exception proposed for corporates owning 16 or more properties. Of the above three rules changes only the first does not apply to companies and it is this which is largely the reason why people are questioning whether a corporate structure would be appropriate. However, it should be noted that companies only pay corporation tax at 20% (soon to reduce to 18%) so this exclusion is of little consequence to a company. Will you be able to borrow on similar terms through a corporate or as an individual? Will you need to extract profits from the company? If you do then you will be exposed to the higher rates of income tax on extraction, whereas if you are able to retain profits in the company they will suffer tax at the lower corporate rates only. Selling a property within a company gives rise to a potential double tax charge as the company will pay corporation tax on the gain on sale and the individual will suffer further tax on profit extraction. For existing buy-to-let businesses there is also the issue of capital gains tax and SDLT charges to consider on transferring property into the company on incorporation. Don’t forget that whilst there is no SDLT on gifts for no consideration, if there are loans outstanding that will be transferred to the company with the property then they will treated as consideration for SDLT purposes. The additional compliance costs of running a company also need to be factored in as they will in some instances outweigh any tax benefit. A further point to consider is interest relief which is available on borrowing personally to lend to a company. Under current proposals the restrictions to interest relief on buy-to-lets does not apply on loans taken out by individuals to lend on to their buy-to-let companies. This would at first sight appear to be loophole. However, in most circumstances it would be necessary to fund the interest payments by charging interest to the company and hence for the individual the interest paid and received would be self-cancelling leading to no benefit. There is also a question-mark over whether banks would be prepared to lend to the individual when the property was in a company. The above gives only a brief overview of some of the issues involving the incorporation of a buy-to-let business. Each person’s circumstances will be different and you should take proper advice before taking any action. The excitement of the leaked plans to build 400,000 new homes by 2020 was dampened somewhat by the announcement of a new 3% stamp duty levy on the purchase of second homes both for personal and buy-to-let use. The Chancellor side-stepped the expected dramatic cuts in public spending thanks, in part, to the OBR’s improved forecast for the economy, and through significant additional tax costs to business. The largest money raiser is a new tax on employers to support apprenticeships, but the property sector was not left unscathed. The excitement of the leaked plans to build 400,000 new homes by 2020 was dampened somewhat by the announcement of a new 3% stamp duty levy on the purchase of second homes both for personal and buy-to-let use. At present this is not planned to affect companies with significant investment in residential property which has added an additional complication for buy-to-let landlords considering whether to incorporate. As always there are a few surprises hidden in the detail including a planned reduction in the time allowed to pay stamp duty, reduced from 30 to 14 days and also a new requirement to pay capital gains tax on the sale of residential property sales within 30 days of completion. There were announcements that affected other areas such as partnerships and charities however these appear to be more of a tidying up exercise rather than mainstream changes. the real problem highlighted here is the difficulty of having an income tax system which purports to assess couples independently and a benefit system which takes into account couples joint income. It is good for tax professionals to receive letters from HM Revenue and Customs from time to time relating to our own tax affairs as it helps to remind us of the emotional impact our clients feel on receiving such letters. I was “lucky” enough to be reminded of this over the weekend when a letter landed on my doormat from HMRC telling me that I had made “an obvious error” on my own tax return! As you might imagine, given that I spend a good deal of my time making sure my clients’ tax returns are correctly completed, I was more than a little put out at the suggestion that I had made an obvious error on my own return! I am pleased to say that a quick check assured me that I had not made an error, but rather frustratingly it was the Inspector of Taxes who had jumped to a conclusion which was basically wrong. The matter concerned the High Income Child Benefit Charge (HICBC) which seeks to clawback child benefit from anyone with income in excess of £50,000. HMRC helpfully pointed out in their letter that the law allows them to correct tax returns where they consider an “obvious error” has been made and that I had not made the appropriate adjustment to my tax return for the HICBC. The problem however is that the child benefit should be recovered from whichever of a couple living together has the higher income. I had correctly excluded the HICBC on my own tax return for the simple reason that my wife earns more than I do. Had the Inspector checked my wife’s tax record they would have seen that she had suffered the adjustment in the previous year’s tax return and an adjustment had already been made to her PAYE tax code to recover the child benefit for the year in question! I telephoned the phone number on the letter and explained their mistake. I also asked what they had done to check which one of us was the higher earner. It turned out that they had not checked at all, but had just assumed that I was the higher earner. Tempting as it is to see this as systemic sexism, I think the reality is that HMRC have adopted a “don’t check, just demand the money and let the taxpayer object” approach. I have heard of instances of both partners receiving demands for the same amount. Putting aside my emotional response, the real problem highlighted here is the difficulty of having an income tax system which purports to assess couples independently and a benefit system which takes into account couples joint income. If you try to mix the two together as in the case of the high income child benefit charge then there are bound to be problems. From an income tax perspective my wife is under no obligation whatsoever to inform me of her income. 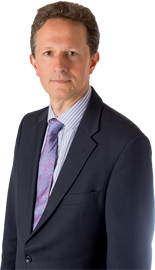 Had I not been experienced in dealing with HMRC it might have been reasonable for me to assume that the Inspector had properly checked my wife’s income for the year in question and that the HICBC was correctly assessable on me. HMRC do have an online form which you can complete to ask whether your partner has the higher income to which they will answer only yes or no, but my experience does not give me a great deal of confidence in the accuracy of their answer. Fortunately for me, my wife and I do exchange information about our finances, but there must be many couples who don’t and may be getting incorrectly charged. George Osborne’s first budget for a fully Conservative government announced the introduction of the new national living wage along with a £12billion cut in the welfare spending. The theme was clear that individuals’ wealth should be coming from employment and not benefits. Changes to the tax treatment of dividends which will require most owner managed companies to review their dividend policy. The new minimum living wage will add additional salary costs for many small businesses already burdened by auto-enrolment pensions. 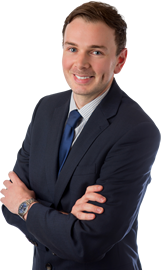 Restriction of interest relief to basic rate only on rental property along with the removal of wear and tear allowance which will impact heavily on buy-to-let landlords. The expected increase to the inheritance tax threshold for the family home. Changes to the to the non-dom rules to strip long term UK residents of their non-dom status. Download our Summer Budget summary in PDF format. View updated tax tables.